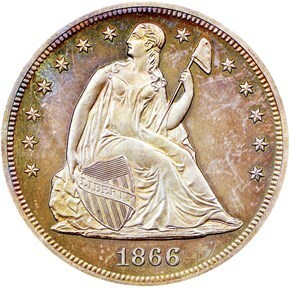 Three different die marriages are known for the proof 1866 Motto Seated Dollar. 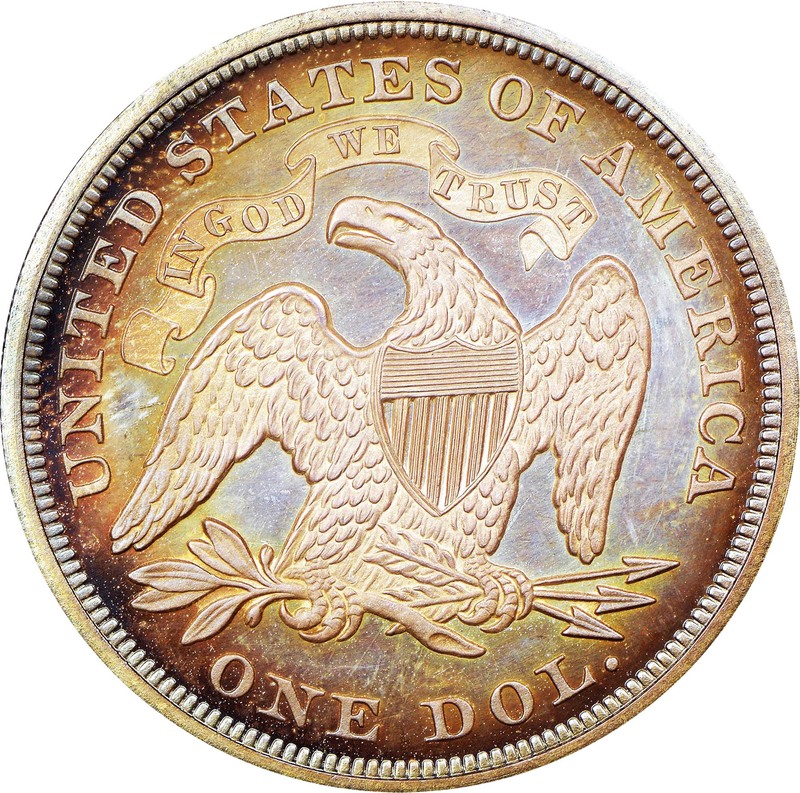 The motto IN GOD WE TRUST was first added to U.S. coinage by the terms of the Act of April 22, 1864, which also authorized the bronze Cent and Two Cent piece. 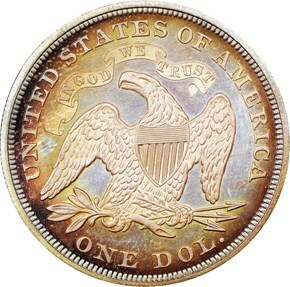 The subsequent Act of March 3, 1865 mandated that the Quarter, Half Dollar, Dollar, Half Eagle, Eagle, and Double Eagle also display the new motto. 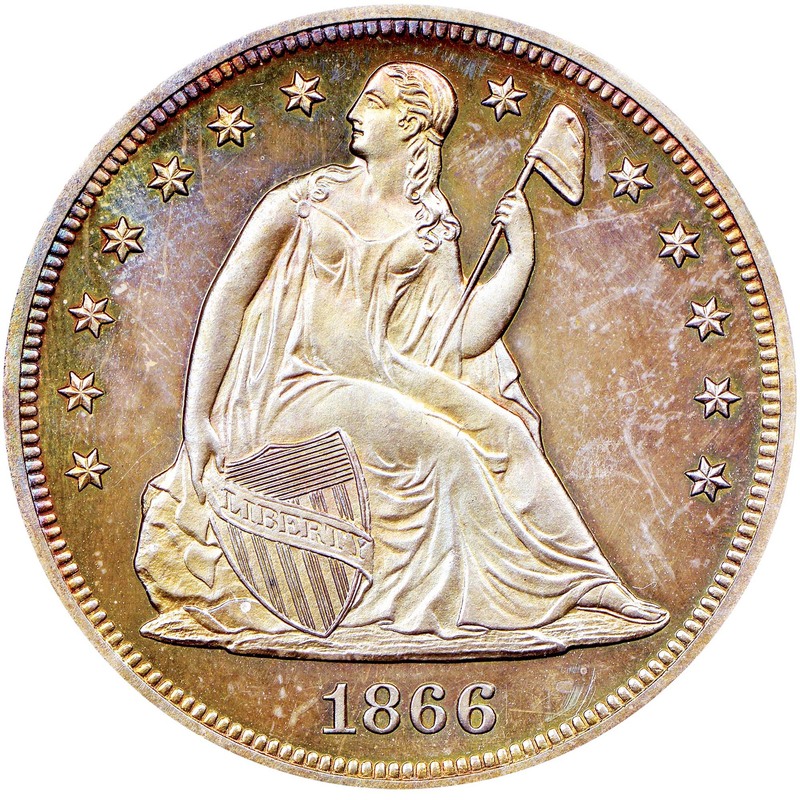 The premier proof delivery of the new Motto Seated Dollar type, the 1866 was produced to the extent of 725 pieces, all of which were distributed with the year's silver proof sets. While survivors are not particularly rare in an absolute sense, they are subjected to quite a bit of pressure from date collectors due to the scarcity of the business strike 1866.